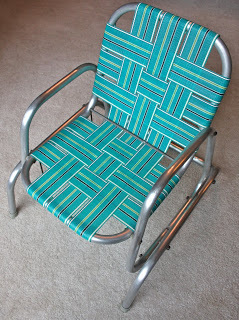 Those classic vinyl webbed lawn chairs from the 60s and 70s bring back great memories of lazy days at the beach and the good old family barbeques by the pool. 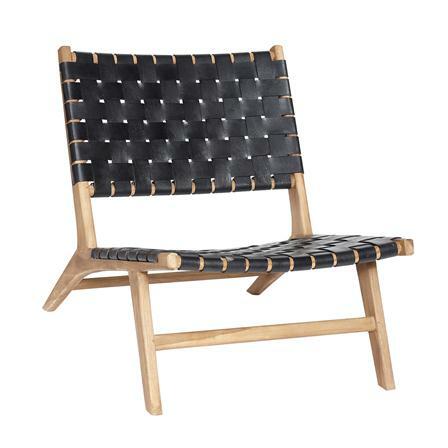 But you can take inspiration from them to incorporate some summer nostalgia into your home with a more modern take on the classic chair. This glossy white kitchen in Rye, New York features these sophisticated but fun white criss cross leather chairs. Photo courtesy of House Beautiful. 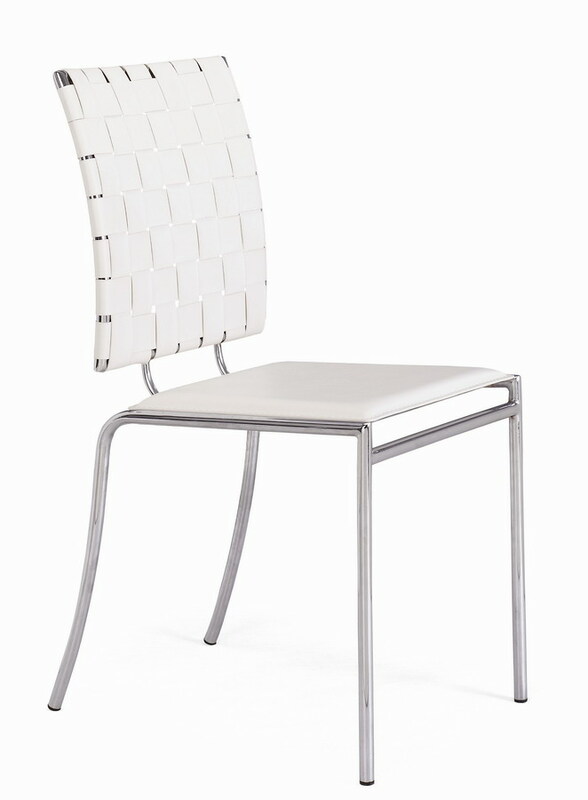 The leather and white Zuo dining chairs have clean lines and a beachy look. 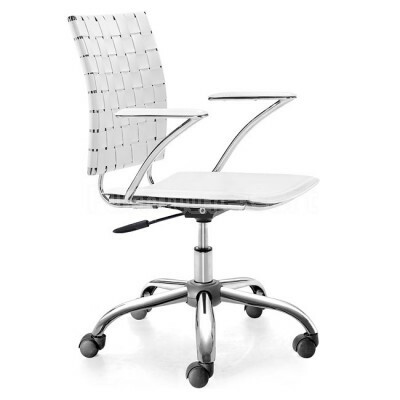 They also come in an office version. This leather woven sitting chair is similar in design to the Barcelona chair and makes a statement in the corner of a bedroom or as part of a seating area in the living room. 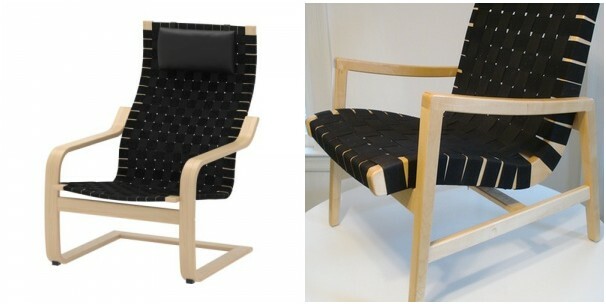 For a more affordable version, Ikea makes the Poang chair (left) which looks a lot like the classic Knoll of the right. It also comes in natural. Photos courtesy of Apartment Therapy.